"Kiskadee Chocolate is made with organic fair trade cacao grown in the Dominican Republic by farmers in the La Red Guanconjeo cooperative. This group of over 150 members began working together in 2003 with the help of Peace Corp volunteers and officially became a cooperative in 2008. After experimenting with cacao beans grown all over the world, Kiskadee Chocolates chose the "la red" cacao bean for its strong chocolate flavor and hints of citrus and tamarind. Our single-origin, organic chocolate is made in small batches over a period of days using roasting, cracking, winnowing, grinding and conching techniques perfected through years of experimentation and testing. 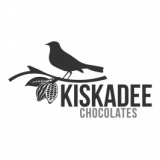 With the "la red" cacao and a lot of love and care, Kiskadee Chocolates produces bars, drinking chocolate, and brewing cacao enjoyed by even the most discerning fine chocolate enthusiasts."